Bob Irwin with his son Steve. Contributed. STEVE Irwin's father Bob has revealed the huge injury toll of the Crocodile Hunter's adventurous life in the lead-up to his death. In an extract of his new book, published on news.com.au, Bob Irwin Snr hauntingly wrote of his last encounter with his son. "You never expect that's the last time you're ever going to see your son, but I certainly had a feeling he sensed something was about to happen." 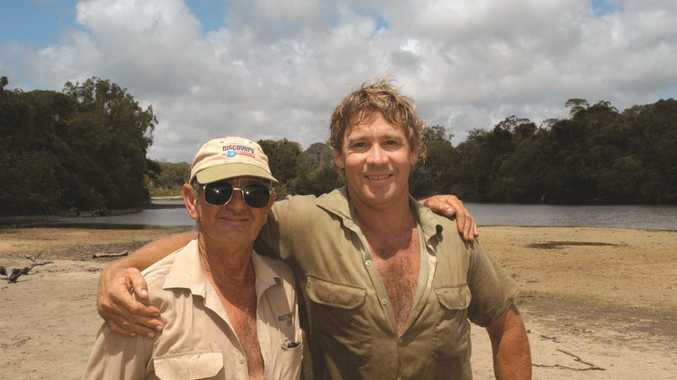 The Last Crocodile Hunter: A Father and Son Legacy tells of a special bond and time shared between Steve and Bob after a month-long crocodile research project in Cape York. Steve Irwin was killed by a stingray in September 2006. It was actually a near-death experience while working as a plumber that made Bob realise he needed to follow his dreams. He and his wife Lyn uprooted their young family and moved to Queensland where they opened a Reptile and Fauna Park at Beerwah which later became Australia Zoo. Steve's daughter Bindi, along with younger brother Robert, have continued their father's legacy with their mum Terri Irwin. In the extract, Bob talks about how he was joined by Steve at the camp fire. "Steve had been sleeping in the camp while he'd battled with constant pain from his broken neck and other injuries. "You know I can see you struggling. 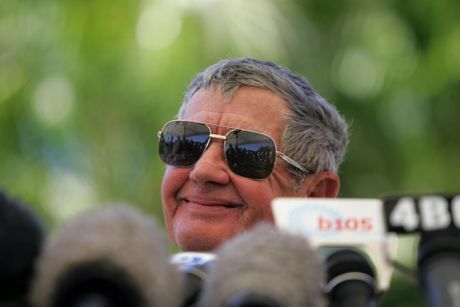 It's as clear as dog's doovas," Bob Irwin told his son. "Steve owned up to it. He knew he didn't have to keep up his guard with me. "I think I've nearly reached my used-by date." "He was struggling physically because he'd really knocked himself around and he rarely gave himself any reprieve from his injuries. "In his lifetime he'd been snapped, gnawed, clawed, bitten, savaged, jumped on, whacked - you name it. He had scars all over him. "No two fingers were the same; each one had either been broken, split or chomped. His hands were virtually scars on scars. In the end you couldn't tell where one scar started and another finished. "Growing up, I'd always taught him that if he got bitten, it was through no fault of the animal but his own error." 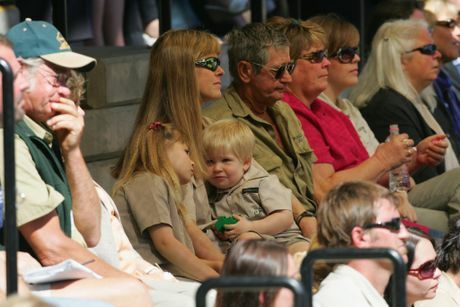 Bob Irwin said his son was exceptional with animals but "knew what he was up against every single time". Before his death Steve Irwin was facing an almost endless series of television projects in the months ahead and was wondering how he might cope with it all. "It was an unrelenting schedule which he told me he had little enthusiasm for despite the fact that he was aware of what it enabled him to do for the conservation side of things and spreading his message." "He was physically drained already by the end of this trip, having worked at full capacity over a long time, without a break and in a very unforgiving environment." 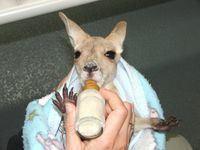 Australia Zoo accommodation the "next natural step"